The Bible, God's inspired word to man, descibes the group of people who follow Jesus Christ as their Lord and Savior as "Christians" (Acts 11:26;Acts 26:28; 1 Peter 4:16). They were a part of the church that Jesus built (Matthew 16:18). Note they were not added to one of the many denominations that exist today. They were not called Protestants, or Baptists, or Lutherans, or any other modern denominational term - they were simply Christians. We believe that if we follow the pattern for the church that we find in the Bible, we too can be simply Christians. We spend time in the study of the Bible and work to follow the pattern we find there of how to become Christians, worship our Lord as Christians, live our lives, and raise our families as Christians. Our plea is call back to the Bible. 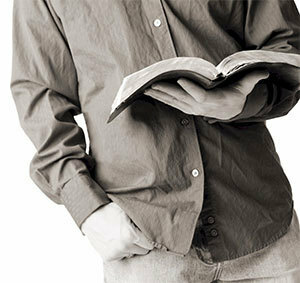 We want to speak where the Bible speaks, but also remain silent where the Bible is silent. Our plea is for you to join us in our study of Scripture in doing those things that New Testament Christians did in service to their Lord.